Even after four years of the deadly terror attack, installation of 6,000 CCTVs in Mumbai continues to remain on paper. In July, the Congress-led state government had cancelled the earlier request for proposals on technical grounds and invited fresh RFPs to give allow more players to participate in the process. In all, the government has received 31 RFPs from various companies, including the Tata Group, Wipro, IBM, Reliance Industries, Reliance ADAG, L&T, CMC, Siemens and SIS. A senior minister, who did not want to be identified, told Business Standard, "These bidders have submitted over 850 queries about the formation of consortium, nature, and operation of bandwidth and transmission." The minister divulged that the government has prepared replies to all these questions and will meet the bidders in December to discuss and take the process forward. Subsequently, bidders will be asked to submit technical bids, which will be scrutinised by a technical committee comprising IT experts and IIT-Mumbai director, the minister said. He added that tenders will be invited from the shortlisted bidders by mid-January. "The government hopes to award tender to the lowest bidder by February." CCTVs would take five years since the award of contract. The project includes installation of video analytics and management, data preservation centres, and six command and control centres. These would eventually be integrated with fire and ambulance services in the city. With the completion of this project, Mumbai is expected to have its own version of "Call-911-emergency" number. CCTVs would be monitored through remote and cable connectivity. The deployment of computerised video surveillance would facilitate effective management as it will ease incident detection. There is a clause of fine and penalty in case the CCTV fails to provide results, The state has proposed allocation of Rs 500 crore for this project. According to the minister, CCTVs would be used at both private and public locations, including malls and hotels. Mumbai police commissioner Satyapal Singh admitted that there was delay in the installation of CCTVs across Mumbai. He, however, hoped that the installation would begin in next two months. 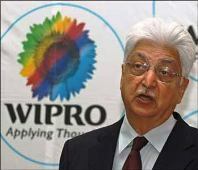 A state government official recalled that during the earlier round, the government had received RFPs from the Information technology services and solutions providers Wipro, CMC Ltd, Allied Digital and ECIL. However, the government scrapped the entire process and decided to invite fresh RFPs.